Light sensitivity ideas to help children with visual processing issues? Light sensitivity for my daughter has boggled my mind and I didn’t plan to write this blog series. In fact, my plan was simply to purchase a pair of new glasses, until I fell into a rabbit hole that was quite unexpected, and as rabbit holes often prove–what I was looking for I just may have found and it needs to be shared for all our children in the upcoming generation of the adventures in rearing persons with FASD (Fetal Alcohol Spectrum Disorders). 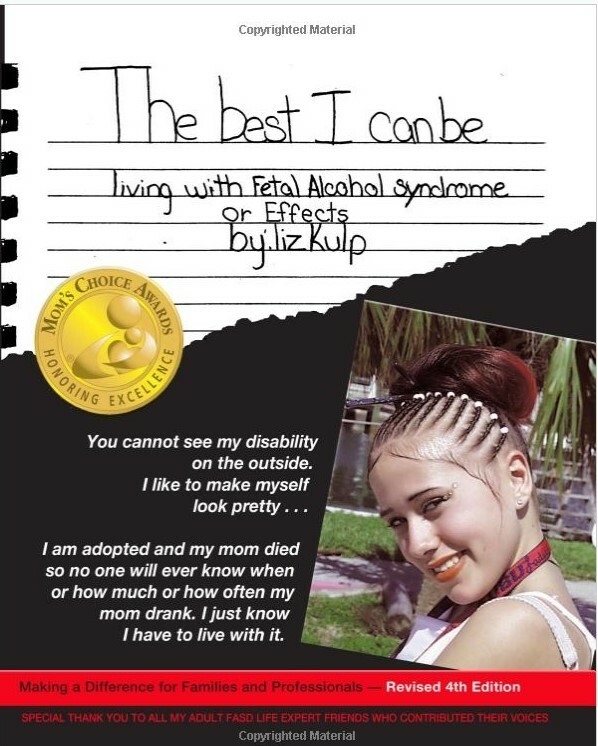 I have found if a technique or strategy helps these the children prenatally exposed to alcohol, the idea is usually sound, can be proven in evidence based research and help many more individuals. Liz’s book is translated in Ukrainian and Russian. She screamed if we rode in the car on sunny days. She tolerated overcast days to play outside. Overhead lights made her world move. Shopping trips were quickly completed. Medical appointments, her educational experience, family gatherings all contain lights–lights, and more lights. She avoided computer screens until she was an adult and a cell phone until social media captivated her. Today, my three loving, now adults have discovered management tools because their adaptations to the surrounding world made them feel better. The rabbit hole took me on a journey to understand how and why. 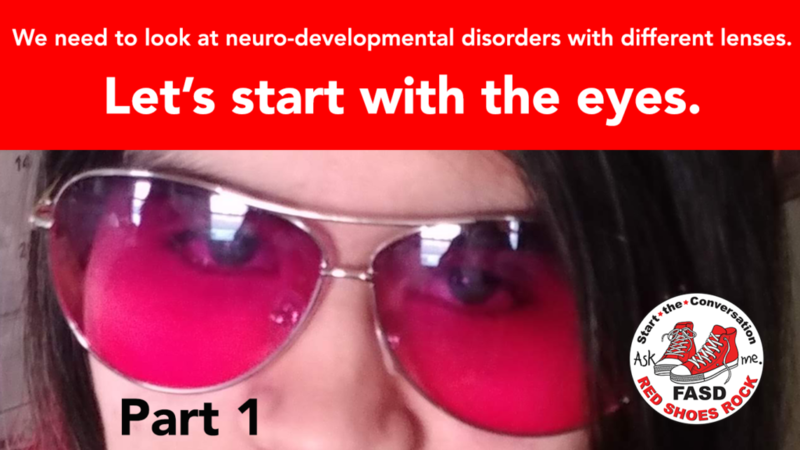 Unknown to us in the beginning, visual processing posed a significant issue to our daughter. At age 13, we finally discovered she tested in less than 1% of the US population and did not have Pupillary Light Reflex (PLR) even though in some environments her vision scored better than 20/20. More than 80% of classroom learning comes via visual pathways; having 20/20 eyesight (visual acuity) is only one part of our visual system. Typical eye exams had missed this. This beginning piece affected her visual processing and her ability to learn, and this piece has been missing since the day she arrived in our home 13 years previously. It could be mitigated! What if going out into the daylight your pupils did not constrict as quickly or did not make any change at all. If we had known this missing first bit of information was just the beginning. And that is a very good place to begin. Visual processing is the processing of the visual environment around us not just sight and seeing colors, shapes and sizes. It is more than peripheral vision, letter/number recognition, spatial relationships, hand/eye coordination, reading and pre-reading skills, focus, and attention to detail. It is how the brain absorbs data through the eye and processes what it was able to see. Light Sensitivity and Visual Processing Disorder are no fun! Liz has lived with migraines since she entered public school. Her sleep cycle is upside down from the rest of society. She experiences chronic dry eye and dyssomnia (meaning she can stay awake for 6 days). Our daughter’s world experience is far different from mine. Each day, I still ask is there anything in the environment we could do to improve her very-very short days, and perhaps find clues to help the children of the next generation? What if light sensitivity and various lighting affects your ability to see? My child had to live with a mother who liked open windows with open curtains. “Let the sunshine in!” I would say. While my bubbly teenager liked her room darkened. That darkness made me crazy, until I began to understand her need for dark or low light. Tomorrow we begin to see the light. We are taking this in tiny steps – enjoy our 3 minute reads. This entry was posted in CLARITY, NEURODEVELOPMENT and tagged colored lenses, lighting, VISION, visual processing.